To be clear, my point on Friday was not that Brexit is “no big deal.” There’s no doubt that it is a big deal, which will have all sorts of consequences that we’ll see play out over many years. But that’s not the question that investors need to ask themselves. The question investors need to ask is whether the results of the referendum merit a change to their portfolios. For example, imagine that you hold shares of Vanguard Total International Stock ETF (VXUS). The results came out Thursday evening, and when the market opened on Friday morning, the price of VXUS fell by approximately 6%. So the question a VXUS shareholder had to answer on Friday was: is a 6% price decline an overreaction or an underreaction to the economic events that had transpired? Personally, I wouldn’t even know where to begin such a complex analysis. But let’s imagine a hypothetical investor (Bob) who is more confident than I am. Bob decides to take a crack at assessing whether VXUS is under- or overvalued. If his analysis is in the same rough ballpark as the overall market consensus (i.e., that international stocks as represented by the Vanguard Total International Stock ETF have declined in value by roughly 6%), then he probably shouldn’t make any changes. But what if Bob’s analysis shows that international stocks have declined in value by 20%? If he’s even close to right — even if he’s off by several percentage points — he would likely benefit by decreasing his allocation to international stocks. Even if Bob weren’t an amateur — even if he were a financial analyst or macroeconomist with relevant experience, for example — it would require an extraordinary degree of self confidence to think that his one-person analysis is probably right while the market’s analysis is wrong. And, more broadly speaking, this is the way it goes with any economic event — even ones that are likely to go down in history as significant turning points. The event occurs, and the market reacts. And if you hope to beat a simple passive index fund strategy, you must try to determine whether the market has overreacted or underreacted. If your conclusion is close to the market’s conclusion (and you therefore make no changes to your portfolio) then you’ve simply wasted your time. And if your conclusion is very different from the market’s conclusion, then you have to consider the possibility that the discrepancy is simply because your analysis is very flawed. Portfolio Turnover: How High is Too High? A turnover rate doesn’t mean anything without context. For example, Vanguard’s Short-Term Treasury Index Fund — which is entirely passive — has a turnover rate of 211% according to Morningstar. That sounds super high, but for a short-term bond fund, it’s actually quite reasonable. The bonds in the portfolio mature frequently given their short-term nature, so the fund has no choice but to frequently buy new bonds. Of course, stocks don’t “mature” like bonds do. But, at least for index funds, there is still going to be some degree of forced turnover for a fund when a stock it is holding moves out of the targeted category. And the more specific the targeted category, the greater that level of turnover. And, therefore, a mid-cap blend fund (with no value/growth tilt) would generally have less turnover than a mid-cap value fund — because the mid-cap blend fund only has one source of forced turnover (i.e., one way in which stocks can move out of the targeted category) whereas the mid-cap value fund has two. Similarly, a value fund (with no specification as to market-cap) will also generally have less turnover than a mid-cap value fund. And a “total market” type of fund would have even less natural turnover, because companies only go out of the “total market” when they cease to exist as publicly traded companies. And these expectations are in fact borne out if we look at the turnover rates for Vanguard index funds in these categories. Vanguard Total Stock Market Index Fund has a turnover rate of 3.5%. According to the Investment Company Institute, the asset-weighted portfolio turnover rate experienced by stock-fund investors for 2015 was 44%. (The fact that this is “asset weighted” means that larger funds count more heavily in the calculation than smaller funds.) So the turnover rate of 39% mentioned by the reader for his mid-cap value fund is below average for a stock fund, despite the fact that this fund is in a category that would typically lead to higher turnover than a more broadly diversified stock fund. That said, the turnover rate is still roughly twice that of the Vanguard index fund in the same category. In his book Bogle on Mutual Funds, John Bogle estimates that a fund’s costs from turnover will be in the rough ballpark of 1.2% x the reported annual turnover rate. 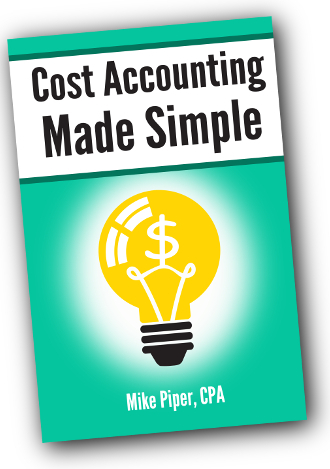 So, for example, a fund with a 100% annual turnover rate will experience a “hidden” cost of approximately 1.2% per year. But that is of course just an estimate, and the actual costs will vary from one fund category to another. With Annuity A, for every $100 of the annuity you purchase, I promise to pay you $7 per year for as long as you or your spouse is alive. With Annuity B, for every $100 of the annuity you purchase, I promise to pay you $7 per year for as long as both you and your spouse are still alive. But I will only sell you, at most, $10,000 of either annuity. There would be a number of reasonable decisions you could make here. You might purchase $10,000 of each annuity. Or you might purchase neither. Or you might purchase $10,000 of Annuity A and $2,000 of Annuity B. And so on. But you wouldn’t, for instance, purchase $10,000 of Annuity B and $2,000 of Annuity A. Nor would you purchase $5,000 of each. And that’s because Annuity B is strictly worse than Annuity A. In short, you wouldn’t spend a dime on Annuity B unless you had already purchased the maximum amount of Annuity A and you still wanted to purchase more annuities. What Does This Have to Do with Retirement Planning? In our example above, it doesn’t make sense to buy any of Annuity B unless you’re already buying the maximum amount of Annuity A. And, with Social Security, the low-PIA spouse shouldn’t be doing any waiting unless the high-PIA spouse is already planning to wait until 70. 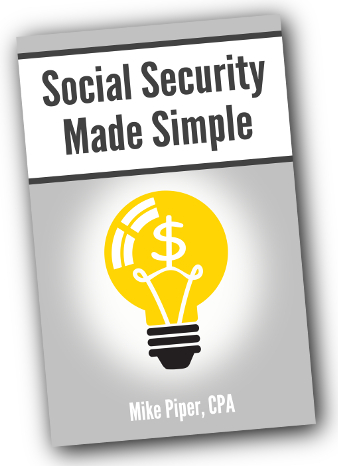 Unfortunately, it’s common to see couples in which both spouses start taking Social Security at full retirement age (or close to it), despite the fact that there would have been a strictly-superior strategy available to them. When I retired at age 50, I couldn’t really be certain that we would have enough money to live comfortably for the next 30-40 years, or longer. Yes, I ran a bevy of retirement calculators. But that’s a long time into the future for any prediction to hold true. 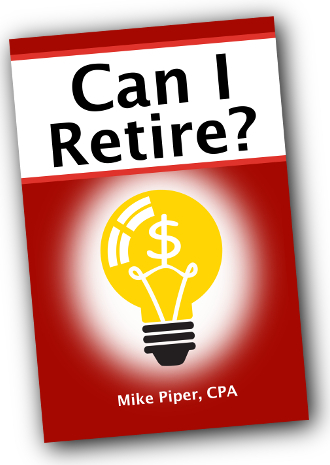 So, what really gave me confidence to retire early was not the calculations, but having a backup plan. I knew if things didn’t go as expected, there would be something I could do about it. The lifeboat strategies are backup plans that can generate the baseline income you need to cover your essential living expenses. That’s the minimum you need for food, shelter, utilities, and medical care and not much else other than free, frugal fun. You hope retirement never comes to that, but, as we’ve discussed, it’s virtually impossible to achieve complete certainty about life decades down the road. Save enough money that you can get by on a roughly 4% withdrawal rate and be willing to make adjustments (i.e., implement what Kirkpatrick refers to as a “lifeboat strategy”) if things go poorly. And for many people, option #2 is similarly unappealing, because it means keeping spending low during working years (in order to save a lot) and/or keeping spending low during retirement years (so that a modestly sized portfolio can last a long time). In other words, most people gravitate toward option #3. But option #3 is only appropriate if you really are willing to make changes when necessary. And, not coincidentally, those changes look a lot like options #1 and #2 in the first place — only more severe, because you’re now in a worse position than you were in when you chose to retire. As Kirkpatrick stresses in his book, it’s important to spend time thinking about what exactly your backup plan will be — downsizing your home, taking out a reverse mortgage, moving to a less expensive town, etc. If you can’t come up with a specific plan that you would be willing to implement (i.e., you can’t significantly cut back spending or free up additional liquid assets), and you cannot satisfy your desired level of spending with a very modest withdrawal rate from your portfolio, then you probably need to keep working.